‘Weirdo Shrine’, the hotly-anticipated second album from Seattle based La Luz, is out now. Available via Hardly Art, the album was recorded earlier this year in San Dimas with producer/engineer Ty Segall. To mark the occasion, the band has shared a new animated music video for sort-of title track ‘Black Hole, Weirdo Shrine’. For most, a brush with death would be cause for retreat, reflection, and reluctance, but Seattle band La Luz found something different in it: resilience. 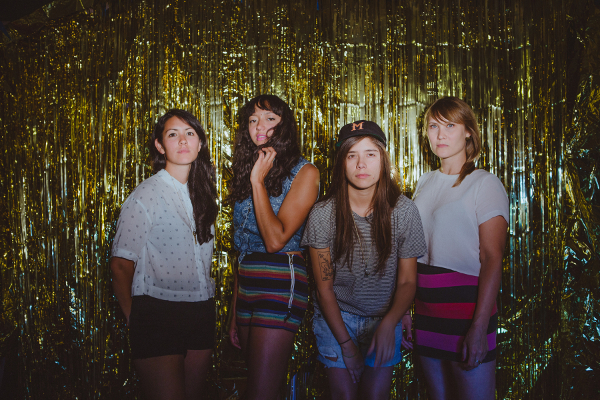 Having survived a high-speed highway collision shortly after releasing their 2013 debut LP ‘ It’s Alive’, La Luz, despite lasting trauma, returned to touring with a frequency and tirelessness that put their peers to shame. Over the past year-and-a-half of performing, the band arrived at a greater awareness of their music’s ability to whip eager crowds into a frenzy.